Compact vehicles provide you with a fuel-efficient engine, as well as a versatile body to use on a daily basis. 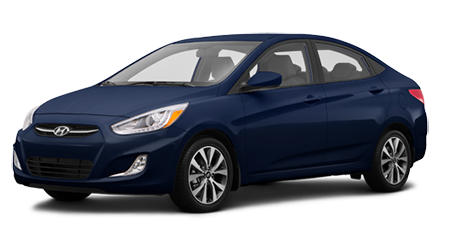 If you’re searching for a compact car to tackle your daily commute in, then head over to Jim Burke Hyundai in Birmingham, AL and check out the 2015 Hyundai Accent. Jim Burke Hyundai proudly serves Hoover, Tuscaloosa, Talladega and Jefferson County, AL with a large array of new Hyundai models. Visit Jim Burke Hyundai at 1424 5th Ave. N and put the new Accent to the test. Compact vehicles have become very popular in today’s automotive market. So let’s see how the 2015 Hyundai Accent performs against the Ford Focus. When comparing these two vehicles against one another, the first thing you’ll notice is the price difference. The Accent has a MSRP of $14,745, while the Focus starts at $17,170. That’s $2,425 of savings in favor of the Accent. With a price that undercuts its competition, the new Accent is great value for money and will save you thousands of dollars in the initial purchase. Compact vehicles excel at returning great fuel economy. If you’re looking for a vehicle that will save you hundreds of dollars on fuel, then the new Accent won’t disappoint. The entire Accent lineup features a 1.6L inline-four that makes 137 hp and 123 lb.-ft. of torque. The Accent’s engine is matched to a six-speed manual transmission or a six-speed automatic transmission as an option. When properly equipped, the Accent can get up to 27/38 mpg (city/hwy). 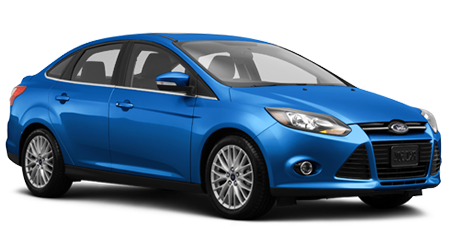 The base Focus is equipped with a 2.0L I-4 that can return 26/36 mpg (city/hwy). After test driving the new Accent at Jim Burke Hyundai, we’re sure that you’ll want to use the vehicle everyday. With the Accent’s extended warranty, you can drive the vehicle with confidence. The Accent comes with a 5-yr./60,000-mile new vehicle limited warranty, 5-yr./unlimited-mile 24-hour roadside assistance, 7-year/unlimited-mile anti-perforation warranty and 10-yr./100,000-mile powertrain warranty. The 2015 Hyundai Accent is one of the best compact vehicles on the road today. When comparing the Accent against the Ford Focus, the Hyundai has the upper hand with its great value, fuel-efficient engine and comprehensive warranty. Stop by Jim Burke Hyundai in Birmingham, AL at 1424 5th Ave. N and test drive a new Accent today.